When Cécile McLorin Salvant arrived at the Kennedy Center in Washington, DC to compete in the finals of the 2010 Thelonious Monk International Jazz Competition, she was not only the youngest finalist, but also a mystery woman with the most unusual background of any of the participants. When she walked away with first place in the jazz world’s most prestigious contest, the buzz began almost immediately. 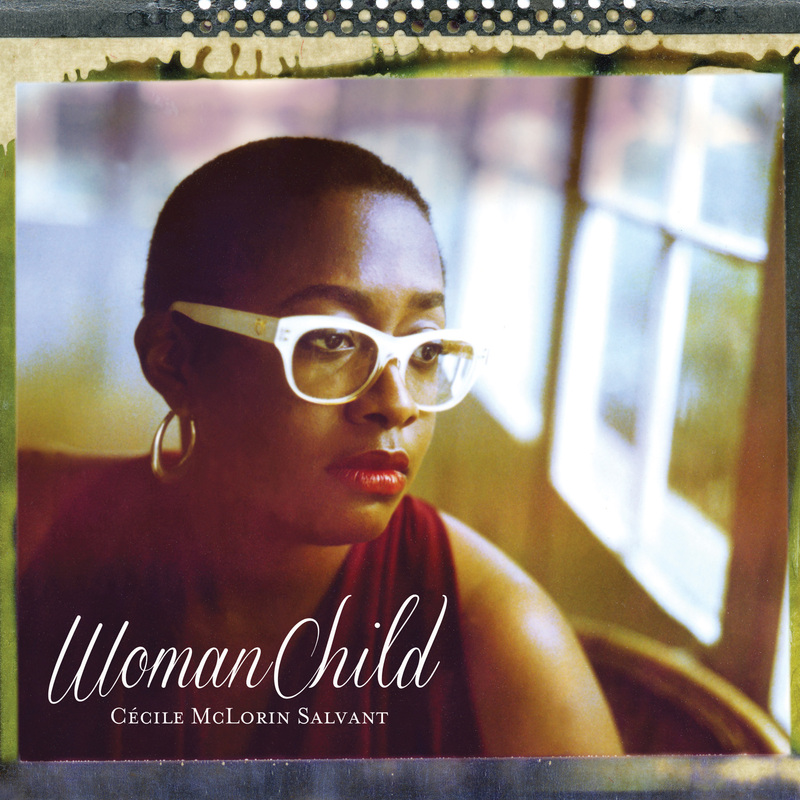 If anything, it has intensified in the months leading up to the launch of her Mack Avenue Records debut, WomanChild. Yet at almost every step of the way, McLorin Salvant has followed a different path from her peers. Born in Miami to a French mother and Haitian father, McLorin Salvant’s first language was French. She immersed herself in the classical music tradition, long before she turned to jazz—starting on piano at age five and joining the Miami Choral Society at age eight. When it came time for college, McLorin Salvant bypassed all the US conservatories and jazz schools, heading instead to Aix-en-Provence in France, where she continued to develop as a singer, but with an emphasis on classical and baroque vocal music as well as jazz. There, thousands of miles away from jazz’s land of origin, McLorin Salvant entered into a fruitful partnership with reed player and teacher Jean-François Bonnel, first as a student and soon as a performer. Before returning to the US, she gave concerts in Paris, recorded with Bonnel’s quintet, and immersed herself in the early jazz and blues vocal tradition. By the time she returned to her home country to take the stage in the Monk Competition, she had drawn on this unusual set of formative experiences in shaping a personal style of jazz singing, surprising and dramatic by turns, and very much in contrast to that of the other participants and McLorin Salvant’s contemporaries. On the album, her repertoire ranges from the 19th century ballad “John Henry,” refreshed in a spirited up-to- date arrangement, to McLorin Salvant’s own 21st century waltz “Le Front Cache? Sur Tes Genoux” which draws on a poem by Haitian writer Ida Salomon Faubert for its lyric. She is joined by a world class band who share her concern for creating jazz of today by drawing on vibrant traditions of the past: pianist Aaron Diehl and bassist Rodney Whitaker (both of whom are Mack Avenue label mates), guitarist James Chirillo and master drummer Herlin Riley. The old and new rub shoulders throughout this album, but this singer’s attitude is neither beholden to the past nor trying to anticipate the trends of the future. Her captivating singing is immersed in the immediacy of the present moment. So much so, that those who have seen McLorin Salvant in concert marvel at how she radiates the confidence and poise of a mature artist even though she is just at the dawn of her own career. McLorin Salvant may have the deepest roots of any singer of her generation. She knows the sounds and styles of modern jazz but also possesses complete command of the classic blues and early American vocal tradition. She has studied the entire recorded legacy of the great Bessie Smith (1894-1937), often called the Empress of the Blues, and also has deep familiarity with Valaida Snow, Bert Williams and other early masters of American music. For her, these musicians are exponents of living traditions that she has drawn into the orbit of her own work. However, McLorin Salvant can’t be pinned down as a jazz traditionalist. Alongside fellow Monk Competition winner Jacky Terrasson, she has recorded works by John Lennon/Yoko Ono and Erik Satie, and can sing in French, Spanish or English as the mood and situation warrant. Knowledgeable jazz fans will identify the influence and inspiration from some of the most distinctive modern jazz stylists, such as Betty Carter, Carmen McRae and Abbey Lincoln. She is also currently continuing her studies of the classical and baroque tradition. In short, McLorin Salvant is a seeker and a creative spirit who is determined to push ahead, even while she shows an extraordinary command of the tradition that has preceded her. In his article in The New York Times, critic Stephen Holden listed some of the virtues of McLorin Salvant’s singing: “perfect pitch and enunciation, a playful sense of humor, a rich and varied tonal palette, a supple sense of swing, exquisite taste in songs and phrasing, and a deep connection to lyrics.” Her musical skills are considerable, but they are matched by an interpretive ability that is almost more akin to an actor’s than a singer’s. She draws out the story hidden inside the song, and can draw on the elements of her own personality and a full gamut of emotional stances—from the darkly troubling to the richly comic—in bringing lyrics to life. On WomanChild, McLorin Salvant gives music lovers the chance to hear why the illustrious judges at the Monk Competition gave her top honors. McLorin Salvant is still a bit of a mystery, but she will hardly be a secret any longer. -description from Mack Avenue's Official Page.